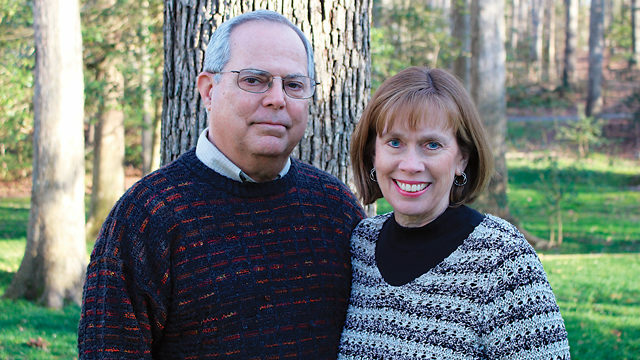 Motivated by their daughters’ struggles with clinical depression, Tom and Diana Leahy founded Beacon Tree in 2008. “Our goal is to help families overcome the hurdles and find a path to mental wellness,” said Tom Leahy. In the spring of 2016, a local mom contacted Beacon Tree Foundation after her 15-year-old daughter had survived a suicide attempt. Not only did this mother feel unqualified to be on round-the-clock suicide watch, the enormous pressure she felt to keep her child alive was overwhelming and terrifying. A few weeks later, the family boarded a plane to take their daughter to an out-of-state program to save her life. Fortunately, as an advocate for youth mental health, Beacon Tree Foundation helped the family with gap funding to relieve some of the financial pressure. Unfortunately, 2014 data ranks Virginia forty-sixth in treating youth mental illness, and a dismal forty-ninth for treating those under eighteen with major depressive episodes. Seven out of ten youth suffering from depression in Virginia – those at highest risk of suicide and difficulty at school – never receive treatment at all. 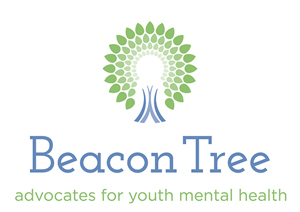 Given Virginia’s crisis-centered approach to treating mental illness, Beacon Tree has taken an aggressive and proactive approach to prevention and early intervention to fulfill a desperate need. “The first time you realize your child needs help should not be after they’ve attempted suicide or worse,” said Leahy. “With the right care, mental illness is treatable, and suicide is preventable,” said Leahy. Studies show that more than 80 percent of those who die by suicide have seen a doctor within three months of their death. So in partnership with Lisa Horowitz, PhD, MPH, at the National Institute of Mental Health (NIMH), Beacon Tree has spearheaded a new program focused on the education and implementation of Ask Suicide-Screening Questions (ASQ) in pediatric and primary care offices across Virginia. Only one pediatric practice in the United States is currently using this tool: Ted Abernathy, MD, of Pediatric and Adolescent Health Partners in Central Virginia. One year of data showed that of the 136 kids ages twelve and up who were screened on wellness visits, seventeen were identified as high risk for suicidal ideation, and were referred to care. “The one thing that motivated our group more than anything in the world when we started talking about doing this [ASQ], was not how many are we going to catch? It was, how are we going to deal with the ones we don’t catch? And how are we going to handle the death of one of our patients by suicide? We couldn’t live with that,” said Dr. Abernathy. As for Carolyn and her family, this last year has been one of ups and downs. The good news is she has replaced her self-harm with positive coping skills, she has learned to ride a horse, and she takes kickboxing twice a week. While she still struggles, her mom says the goal is to give her a toolbox of strategies to deal with life’s difficulties in a positive way. The family continues to work toward the moment when their daughter is healthy enough to return home. Trees of Hope is a youth concert and cocktail event focused on hope and healing with heavy hors d’ oeuvres and a cash bar. This year’s musical lineup includes a youth string quartet from Richmond Symphony; performances from RAMifications, a VCU acapella group; musical solos by Sophia Nadder; violinist, Savannah Hatcher and guitar by Hunter Zupo. Notable speaker, Brandon Farbstein, who has appeared at TEDx Talks and the 2016 Vice Presidential Debate, will be sharing his personal story of overcoming depression. Additionally, there will be short presentations including the story of one of the families Beacon Tree helped this past year. Funds raised will help us implement our Preventure Pilot in the fall, a program that has been shown to reduce drug and alcohol use in schools by up to 80%. Proceeds will also support our Family Grant/OnRamp Program that helps families with gap funding for mental health treatment of a child when income, insurance or Medicaid fall short of expensive interventions. Purchase your tickets for $50 each at Beacon Tree Foundation. Previous articleThere’s no time for April showers this year!